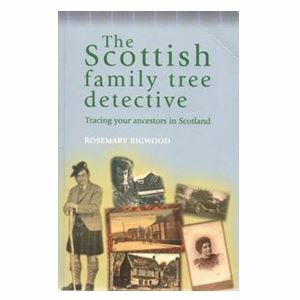 The Scottish Family Tree Detective: Tracing Your Ancestors in Scotland by Rosemary Bigwood is a practical, user-friendly guide to researching your family history in Scotland. Its aim is to provide sign-posts to the past and to solve problems faced by those seeking to discover their ancestors and explore their lives. It shows how to make the most of research resources and catalogues of collections held in archives and libraries, both online and on paper. The Scottish Family Tree Detective emphasises locating, selecting, evaluating and using sources, as well as finding out what is locally available and what is kept in Scottish central archives. Guidance is given on how to keep records and make a research plan. Other sections look at topics such as birth, marriage and death - how to use the core sources of statutory registers, census returns and parish registers, as well as how important information can also be found in other records relating to these 'facts of life'. The Scottish Family Tree Detective includes a section on profiling the ancestors, showing how further research can inform the reader about how they can find out more about their forebears, or 'how to put flesh on the ancestral bones'. A final section offers help in the often daunting task of understanding Scottish legal documents. The Scottish Family Tree Detective is designed to help those who are starting out on the ancestral trail and also to point more experienced researchers, including students on genealogical courses, in new directions..